On Saturday morning I was sitting up in bed, drinking a cup of tea, when something rattled down the chimney and rolled onto the tiled hearth. I nearly jumped out of my skin. Our house is Edwardian and not in the best of repair and sometimes fragments of flue lining do trickle down – but this sounded BIG. I posted the image to Twitter and waited for the guesses to come rolling in. There was no response at all, which was surprising; it wasn't until the next day that I realised that in changing over to a new phone my Twitter app had stopped talking to my photo album. On Sunday morning, I tweeted again. Immediately, replies started coming in, and the tweet began to be retweeted and retweeted. The suggestions ranged from reindeer poo to old putty to a piece of flue lining, a coprolite or a dried-out bread roll dropped down the chimney by a bird (we do get a lot of crows on the roof); the two most frequent guesses were an owl pellet and pumice stone, about which several Tweeters were incredibly insistent, despite the fact that I knew from handling it (and my experience of owl pellets) that it wasn't either. I decided to hit it with a hammer to see what it was made of; at this stage, more for fun than anything else. I was expecting it to crumble, like the bits of chimney lining or cement that do sometimes fall into the fireplace – though I had no idea why it would be ovoid. But the hammer bounced off. I kept trying. Eventually, after six big hits, it split; but it didn't crumble. I began leaning toward the dehydrated putty theory, because of its dense, heavy yet rubbery texture. 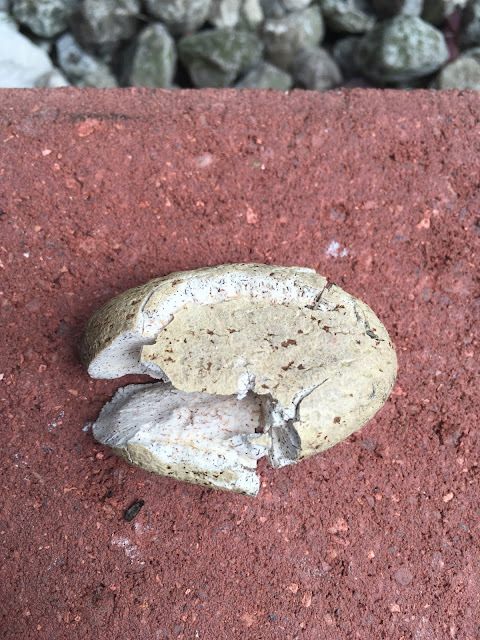 Someone on Twitter who used to work on chimneys confessed to making putty snails while waiting for layers of chimney lining to dry; perhaps this was an old bit of putty formed into a shape and left in the flue. Meanwhile, the tweets just kept on coming, from Europe, America and then Australia, many with the hashtag #chimneyegg. It was at this point that my historian friend Lucy Inglis suggested that it was a bezoar stone. Intrigued, I Googled it; animal gastroliths were once believed to have magical properties and she suggested that it may have been secreted in the hearth as a charm (in old houses, objects are often discovered in hearths, including animal hearts stuck with pins, witch bottles, dolls and single shoes). 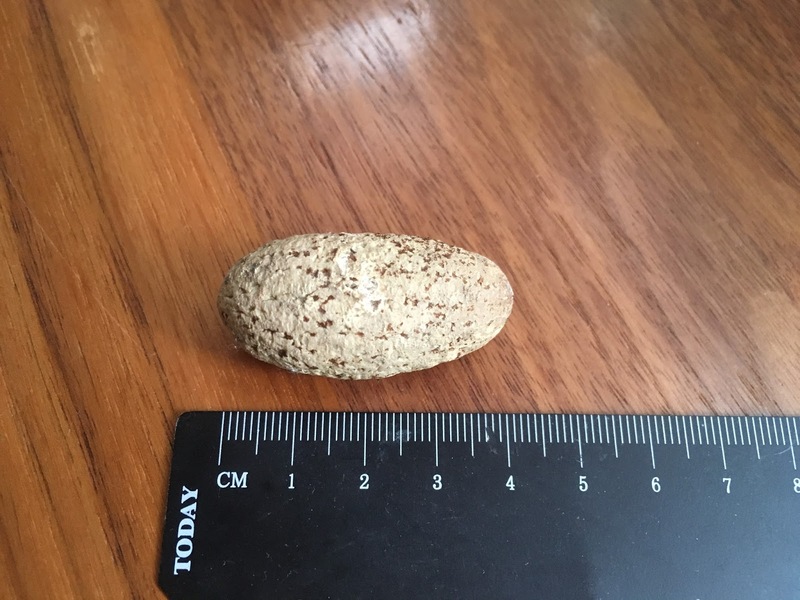 I absolutely loved this idea; I'm writing a new novel which includes folkloric elements including hagstones, so the thought of finding a bezoar stone in my own home seemed too good to be true. 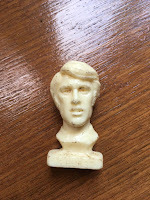 The possibility began to be avidly discussed on Twitter; Helen Nott came forward to tell me that she had discovered not only a bezoar stone, but a mummified cat, under the floorboards of her Lincolnshire home, something that greatly interested this chap, compiler of a database of things found under floors and inside walls. The fact that I had smashed the possibly lucky item with a hammer was obviously not ideal, but someone suggested that if it had fallen out of the chimney, perhaps its mysterious work had been done; another suggestion was to put something else in the flue as a propitiatory offering, to replace it. Either way, I decided that if I could confirm it was a bezoar stone I would lay it to rest in the garden – maybe around the same part of the flowerbed from which I dug up this tiny head of Geoff Hurst several years ago. That felt right. More interestingly, I was asked to heat a needle and touch it to the object to see if a pleasing aroma was emitted (several people thought it might be valuable whale ambergris, despite my central London location). I was also asked to see if it dissolved in water. It didn't; the next requests were vinegar and Coca-cola, but I didn't get around to performing those tests. I really wanted it to be a bezoar stone, but inside I believed it might just be old putty: I thought about the principle of Occam's Razor, which says that of many possibilities, the simplest is most likely to be true. At last, we had an answer – all down to the amazing power of Twitter! 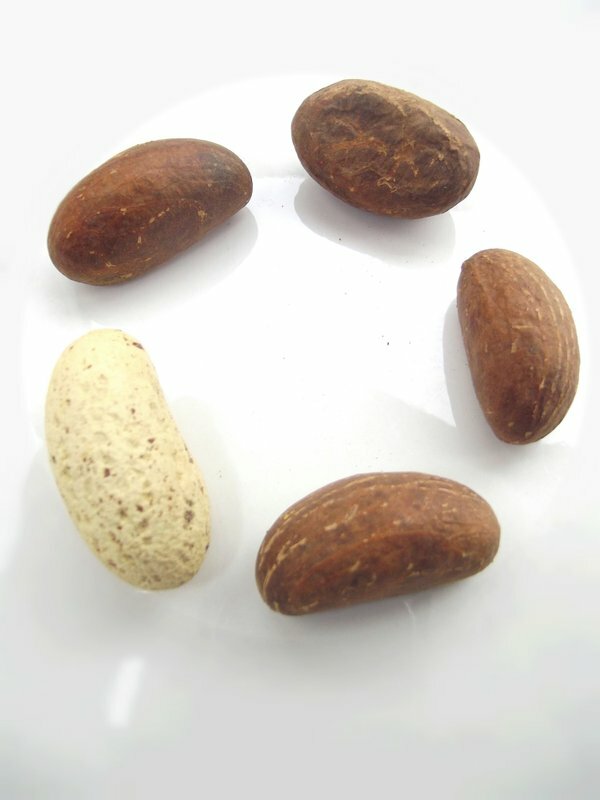 Admittedly it wasn't quite as interesting as a bezoar stone, but it was considerably more exotic and exciting than a bit of old putty; and it made sense, as there is a vibrant West African community around where I live in South London.